Everyone has been in a voting frenzy thanks to the American mid-term elections. Regardless of your politics, it serves everyone to get out and vote. But one app called Vote With Me wants you to see who might vote what just by checking your phone contacts list. While the new Vote With Me app can tell you a lot about your friends and family’s voting habits, it’s also gamifying the voting system. Many states in the U.S. will have a general mid-term election on November 6th. If you are a resident and haven’t yet voted in early voting, check out this early voting calendar. You might still be able to before the frenzy that will be November 6th. For our readers not in the U.S., you might still be keeping up with our political races as many of them have become quite heated as of late. As such, third-party app developers jumped on the political bandwagon. But their methods may make some users feel a bit uncomfortable. Is an app that shows a phone contact’s voting party next to their phone number too much? 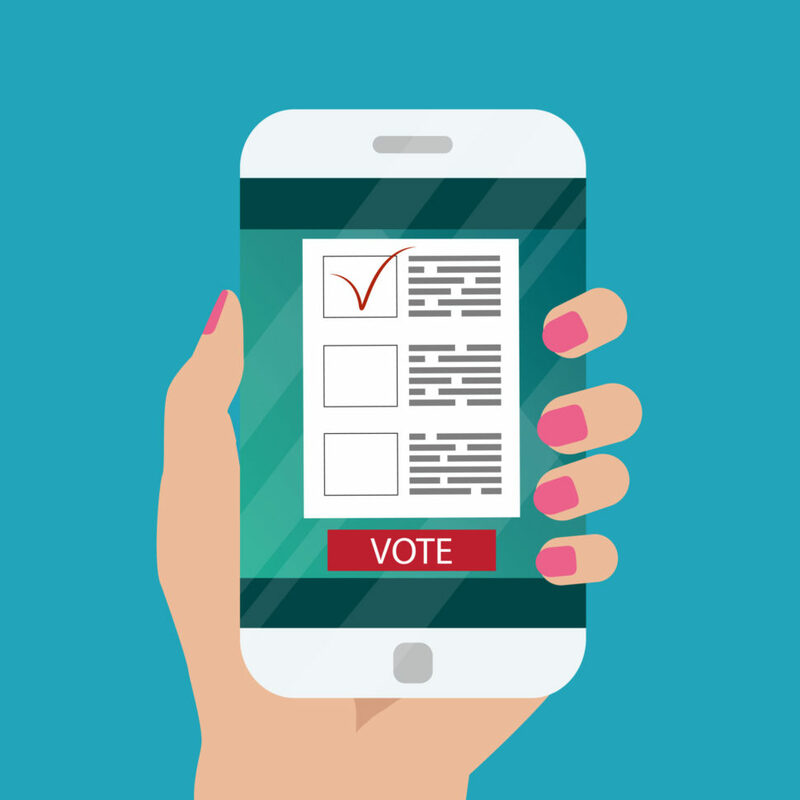 The New Data Project developed the app Vote With Me, available for iOS and Android devices. It ranks #37 in social networking in the Apple Store, believe it or not. It is, however, and for some reason, rated “T” for “Teen” on the Google Play store. The app functions in a fairly simple way in the sense that it just shows party leanings next to contacts in your phone. It comes from a group led by Mickey Dickerson, former US Digital Service appointee during the President Obama administration. Say you need to call a family member, so you open the phone app to call them. While scrolling through your phone book, you would see a denotation of “D” or “R” for “Democrat” or “Republican” next to the names. Using the Vote With Me app itself, you can access how each person voted in different elections based on data pulled from public voting records. 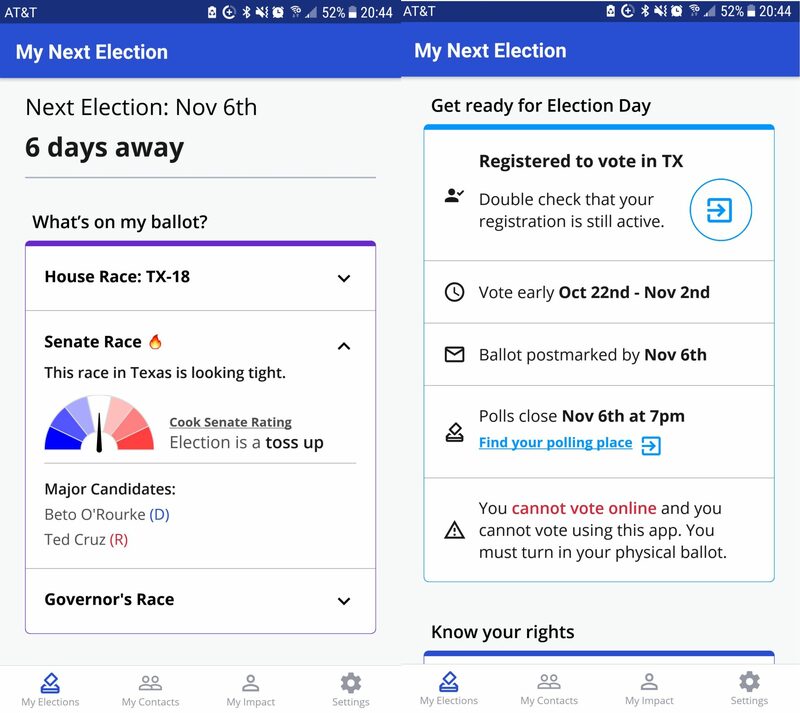 Outside of the oddity of these features, the app also does one very important thing: it helps remind you and your friends to get out and vote. Implementing things like achievement badges into a voting app seems…overkill? But, after the success of apps like Duolingo with gamification, it makes sense overall. You can see that the interface features tons of familiar facets to other apps. It has an easy-to-navigate bottom bar and a friendly color scheme (if a little bright for my vampire eyes). Some reviewers such as this one from Business Insider laud the app for its novel idea. But others, such as this report from an Idaho Democratic Party story, says that some voters don’t like the invasive nature of the app. Despite their concerns though, many people interviewed in the article thought the app did more good than harm. I think I agree with them in spite of the creepiness of it. After all, it is just aggregating public data and organizing it for us to use, right? Though backed by former Obama appointee Mickey Dickerson, the legality of this kind of service stretches thin. While they are pulling information that is public record, most of us want to know that we can vote with confidence. While big-city voters might not mind as much, voters in smaller communities could leverage this information in more nefarious ways. Voter intimidation isn’t limited to gerrymandered voting districts. This kind of app that uses voter registration records could lead to bullying or worse. Some reviews also voice concerns over partisanship within the app. However, I did not notice any partisanship diction during my tour of the app. What’s more interesting is reviewing the entity behind the app itself: the New Data Project. 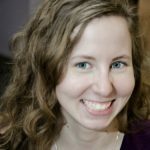 Dickerson worked for Google and volunteered his time to help salvage the healthcare.gov site during the Obama administration. He leads as Executive Director with Sarah Sullivan as the Deputy Executive Director. She also served in the Obama White House and the Massachusetts Senate President office. A Seattle software team supports the main group in Washington D.C. and Chicago. 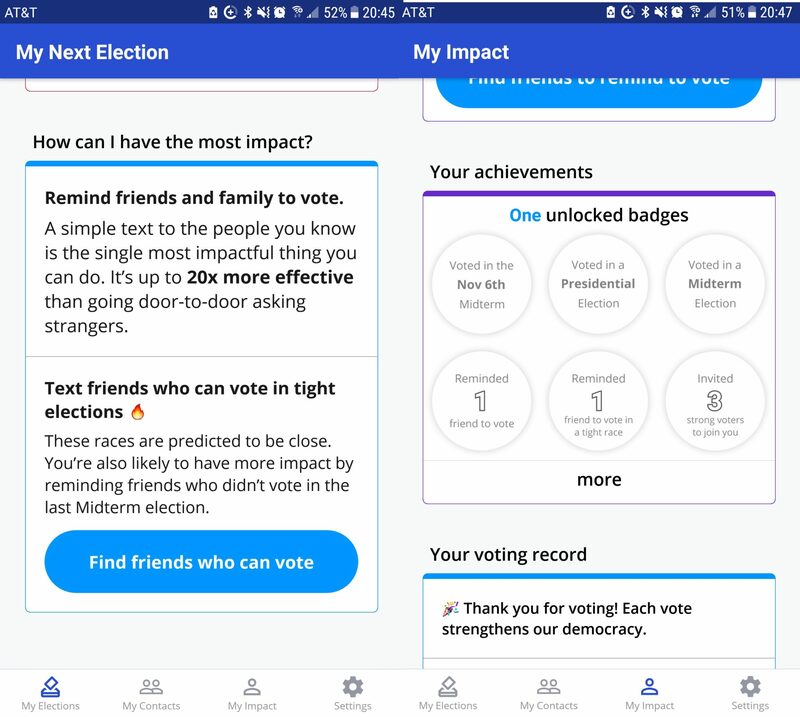 Despite their pedigree and the usefulness of messaging friends en masse about voting, the Vote With Me app raises questions of how much data science can push the legal limits of personal privacy. Do the practical applications of this app outweigh the concerns of voter intimidation and privacy invasion?